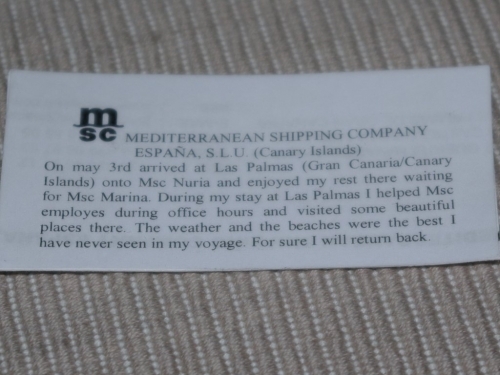 On 6.th of march Fred left Tauranga on "Dawn Princess" and we didn´t hear anything from him since. We received quite a lot of emails which proove, that not only we, but a lot of Freds friends and fans are seriously concerned about Fred an the project. Some of Freds friends even offered support to rescue Fred. Last year we already had to initiate a search-and-rescue operation and we are now preparing to assemble a suitable "SAR"-team. We therefore ask for your patience. 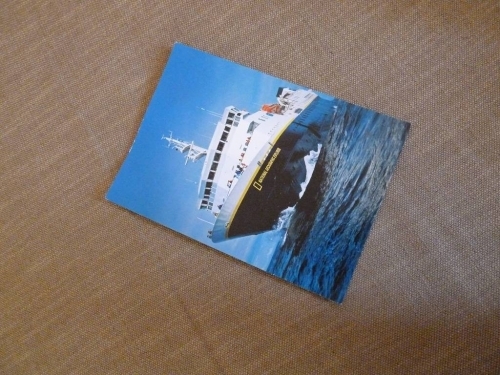 We are very optimistic that soon we will find a nice ship with a motivated crew which will have fun with Fred an send new reports and pictures. 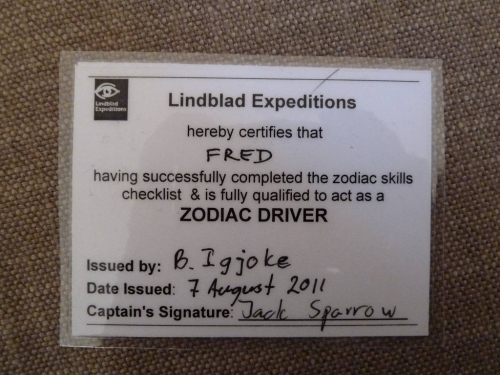 With this Zodiac Fred left the National Geographic Explorer in Brunsbüttel. 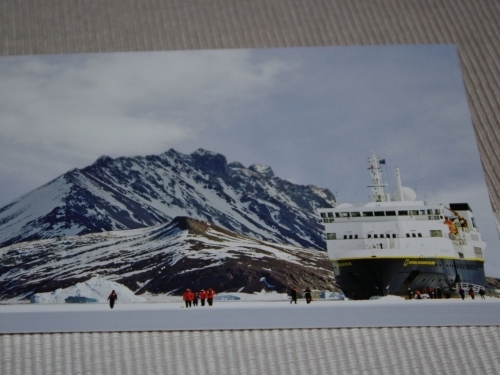 The crew of the National Geographic Explorer gave Fred a postcard and they wrote that they where very happy to spend the time with Fred and all of the crew signed this postcard. 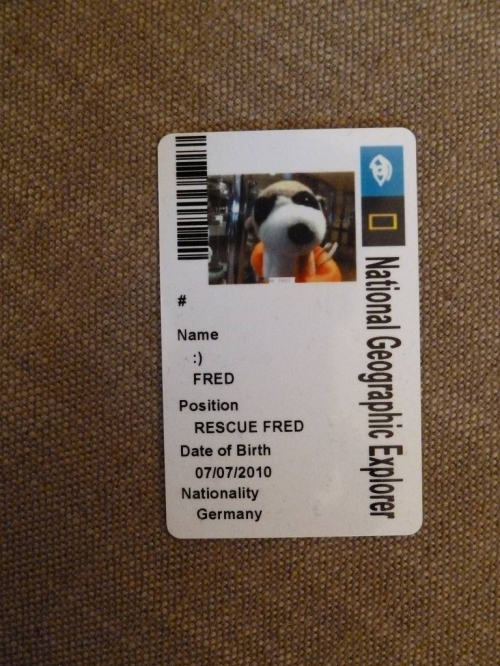 They created an own ID-Card for Fred. 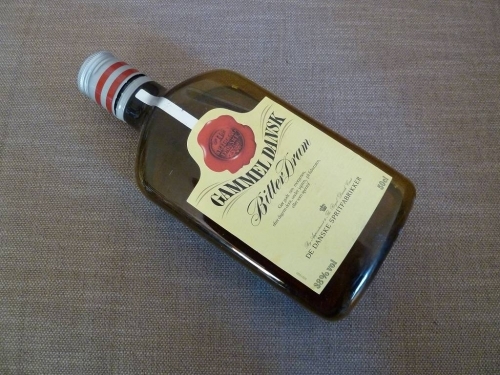 With photo! 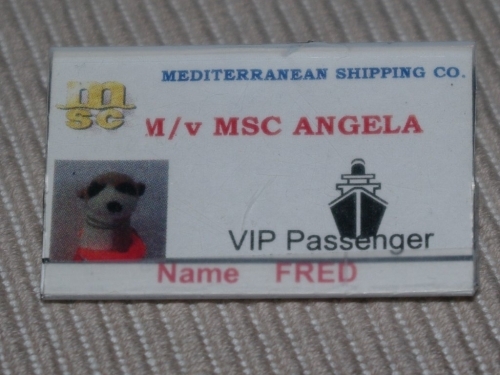 Freds ID-card during his voyage on MS Angela. 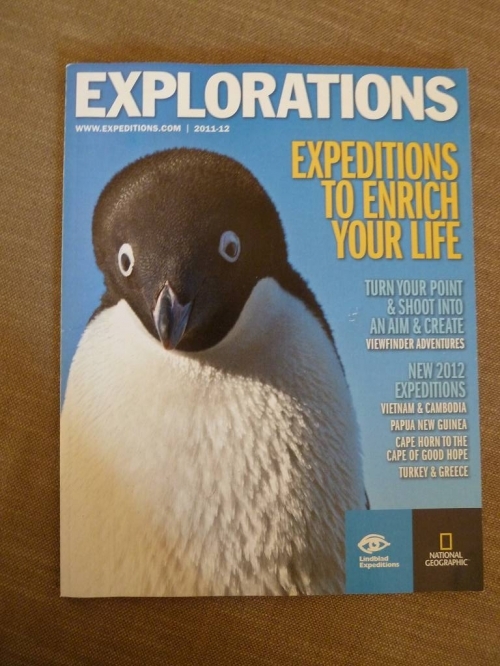 Esther (from National Geographic Explorer) sent us another postcard some weeks ago. They are still following the adventures of Fred and who knows...? 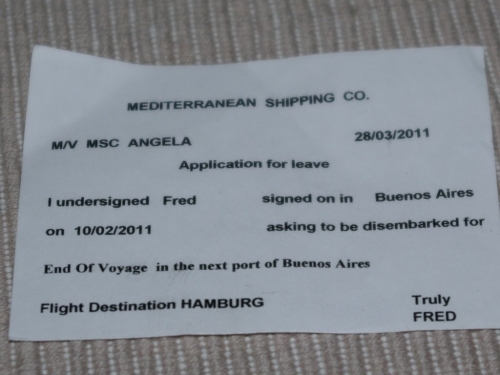 : Maybe Fred will be part of the crew again in future.